air dryer combines backup capacity with demand based usage. In air operated instruments, corrosion, leading to incorrect readings and false responses by plant operators. 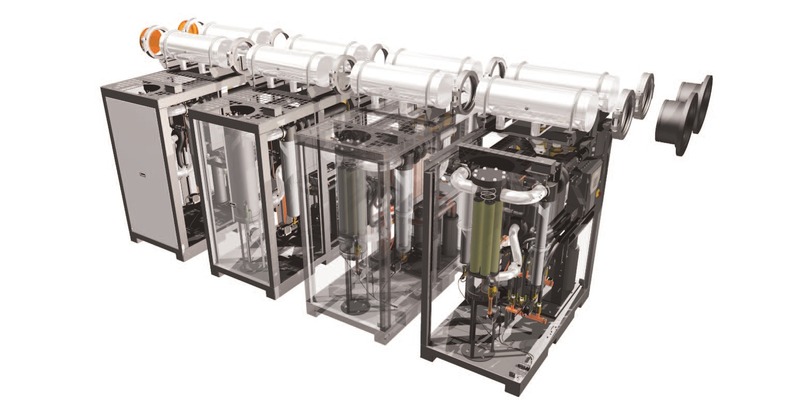 In pneumatic controls, clogging of orifices and malfunction of controls due to rust and scale can result in additional maintenance and repair, even process malfunction or shutdown. Spray-on coating operations are impacted by moisture level, which can affect color, finish, and adherence of the applied material. In industrial production equipment, moving parts can experience rust and premature wear due to the washing away of lubrication by excessive moisture in compressed air. When ambient air is compressed, its temperature increases, but also does the ratio of water per unit of air volume. This results in a compressed air supply with what may be an unacceptably high dew point. Dew point is the temperature at which air is saturated, and cooling air below its dew point will result in the formation of condensate (liquid water). As compressed air is consumed by usage equipment, the air pressure drops, along with the temperature. 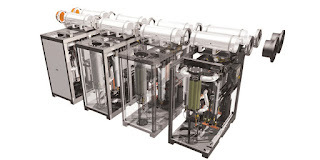 These condition changes, and others, can result in condensate formation in the compressed air system and connected equipment. This is generally considered a negative development, as the presence of excessive moisture can lead to line freezing, corrosion, excessive equipment wear, and malfunction. 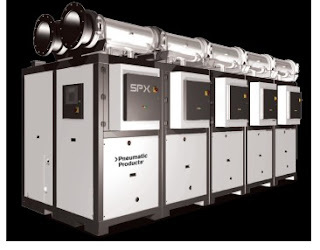 More detail on the versatility, energy savings, and all around performance of the ESM Series Refrigerated Air Dryers is provided in the product data sheet included below. Product specialists can help you leverage your own knowledge and experience into a successful and effective solution. In industrial processes utilizing pneumatic controls, clogging of orifices and malfunction of controls due to rust and scale can result in additional maintenance and repair, even process malfunction or shutdown. In industrial spray-on coatings, moisture can affect their color, finish, and adherence. Review the product data sheet below for more detail on the versatility, energy savings, and all around performance of the ESM Series Refrigerated Air Dryers. Product specialists can provide answers to your application questions, along with assistance with product selection and incorporation into your plant or process.